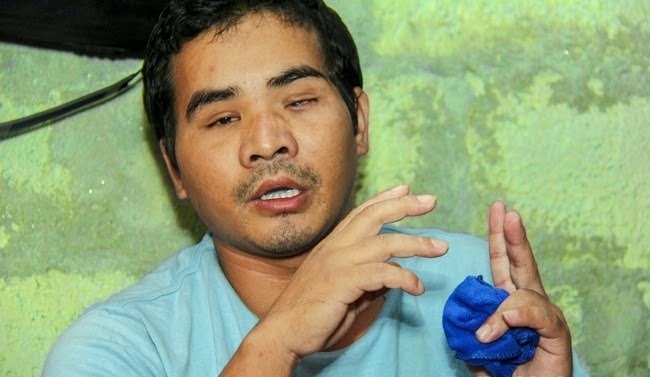 A Nepalese beating By Nepalese ganesh became a Blind in Qatar. A young man sleeping cabin ucationally tinale capital preservation. His hand salbalaumdai moment - the moment pugirahanchan eyes. Wipe the water that flows through the galasamma email. Right eyes bhimkincha, but not the light. The similarity is no feedback left eye. Apnea of ​​31-year-old Ivorian -9 home Ganesh Shrestha is the story. Leave the house when he saw the parents and wife are doing. Three years sitting in the queue rphakamda also did not see the same faces. Orphanage home with the support of others, seeing Ganesh 70 inviting elderly parents Dhan section spilled tears. She recalls her mother somewhere Babies justice in Kathmandu father, parents Relevance anybody is blocking his throat.